A Nightmare On Elm Street is basically about a deranged pedophilic man name Freddy Krueger. Its known that he comes with his burnt face, claws on his hands and he kills his victims in their dreams. He is an undead person so you can't kill him in your dreams as it is "his world"
The movie starts up with a few teenagers which stay on Elm Street which are experiencing the same dreams which involves a man with a red and black sweater, fedora hat and claws on his hands. This man takes control of their dreams and eventually kills them in their dreams which results to the teenagers dying in real life. With the last two remaining survivors as they weren't killed yet, They try to solve the causes of this deaths and only to find out that they're in one of their worst nightmares ever when they find out the dark secrets of the past which was unfolded to them. I would like to say that this is a good remake of the previous A Nightmare on Elm Street as the CGI of this movie was of course better compared to the previous A Nightmare on Elm Street especially when Freddy was coming out through the wall to kill one of his victims. As for the other effects, It felt and looked real especially when involved injuries and blood. The acting of the actors and actresses were relatively good as well as I was able to feel the fear that they showed in their eyes. The movie is generally scary and creepy as the suspense kept on going on throughout the movie and it is able to keep the attention of the viewers. I watched this as my late night movie... 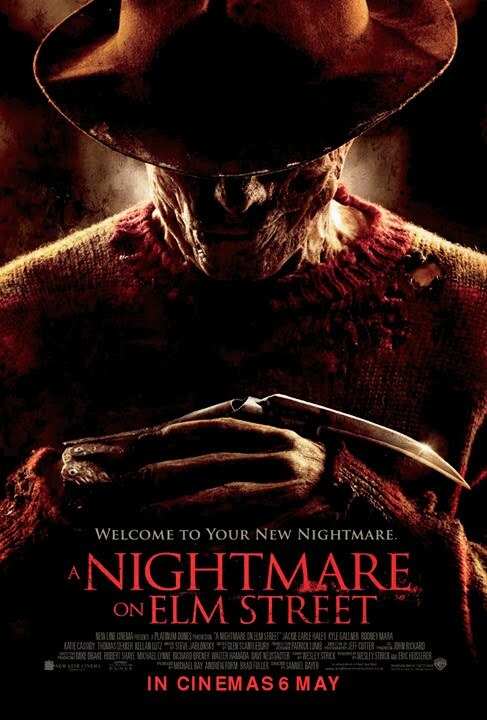 It's almost the same as the older movie version of freddy nightmare. Only thing is, this has better effects..